"Stop the car, I want to photograph him." Who was I to say "no" to a legend? Mary Ellen Mark sat in the backseat of our rental car, gazing out the window with fierce curiosity. Here was a woman and a reputation. A 75 year old photographer and legend who traveled the world and documented life on the margins of society. And I got to spend a week with Mary Ellen on her last assignment. A month later, this past Monday, she died in New York. But at work, Mary Ellen was relentless. 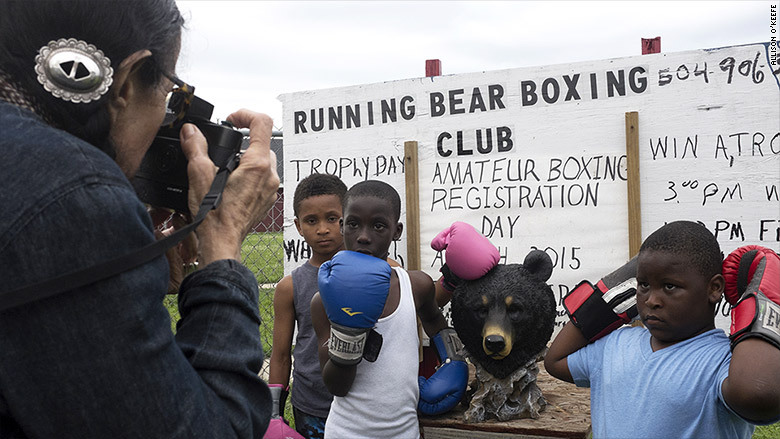 We were in New Orleans for a CNN-commissioned assignment. 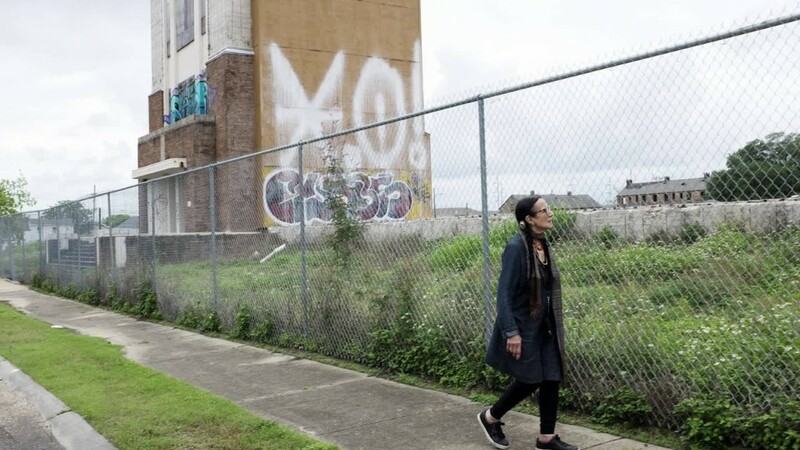 I was her appointed guide as she documented the city's recovery from Hurricane Katrina in the 10 years after the storm's landfall. We were in the desolate Lower Ninth Ward. This wasn't the first time she asked me to stop a car -- by then I had grown accustomed to an artist's whim, schedule be damned. I was getting a crash course in street photography from a master. I parked and approached the person she had her eye on. He was an obese cross-dresser, hand washing a car that had been vandalized with an obscenity. After working her magic, Mary Ellen Mark photographs away. I explained who I was and what Mary Ellen and I were doing in New Orleans. He first ignored me and then definitely and emphatically said "No." I reported back to Mary Ellen that he didn't want to be photographed: "It's not going to happen." Her eyes bore down on me. "It would be an amazing picture." So I tried again and it didn't work. "Maybe we can come back later?" I suggested. Mary Ellen said: "That won't work." She made her way over to the man. She introduced herself. She asked to take his picture. He said no. She stared at him -- this tiny figure next to this large man -- a patient smile on her face. A quiet settled over the scene and the man broke into a smile and posed for the camera as she snapped hundreds of photographs. She had done it. Again. During pre-production and planning for our New Orleans shoot, Mary Ellen was precise, exacting, and quickly dismissive. She saw the world differently. Once towards the end of our trip, I had to tell her that I couldn't get access to one of the locations where she wanted to take a photograph. I tried to talk her into an alternative location. "You don't get it, Lou. You don't get it." She was right. On shoots, I'd stand over her shoulder, trying to see what she saw. Try as I might, I couldn't. Because Mary Ellen had special vision. Her photographs, mostly often in black and white, transcended time. She'd capture a person's history in a moment. Only once I saw the image that I finally understood what she had envisioned. Locals will tell you the summer heat in the Gulf Coast is nearly unbearable, like that's some sort of consolation for the brutal springtime humidity. It was hot all the same. We were frequently working in difficult environments with shifting challenges -- in the forgotten ruins of Katrina, under moving sunlight and cloud cover. What I didn't know was that Mary Ellen was suffering from a blood disease that would kill her four weeks later. But that didn't stop her. It was an exhausting seven days -- 18 shoots spread out across the city and into Mississippi. Mary Ellen with her husband Martin Bell. We were due to spend another week in New Orleans in June. Not anymore. Her last assignment would never be completed. Martin Bell, Mary Ellen's husband, came with us to New Orleans. He was her artistic confidante. Mary Ellen's temperament could overheat on a shoot. Martin used humor like a fire extinguisher, but without redirecting her unique vision. He settled her. 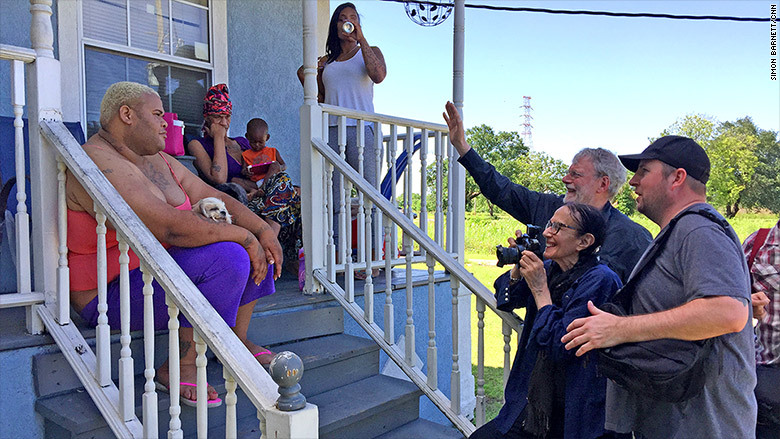 Mary Ellen took hundreds of photos in New Orleans. They're gorgeous, and haunting, and edgy, and stark. They linger. But there's a behind the scenes photo that will be the project's legacy for me. 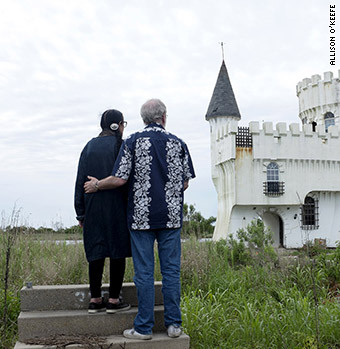 Martin and Mary Ellen are side by side, their backs to camera, standing on a flight of stairs that once led to a house and now, post-Katrina, lead to nothing. Martin's arm is around Mary Ellen, balancing her. She has a camera in hand. I showed that photo to my wife.